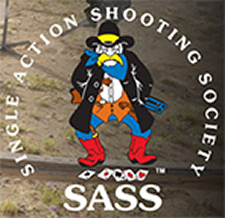 The Cowboy Division is also known as the Colorado River Shootists and is a Single Action Shooting Society (SASS) affiliated club. The club shoots on the 4th Sunday of each month. Please check the news section below for exact time, as it changes with the seasons. There are generally 6 stages (4 in the summer) during the regular monthly matches. Some months there is also a shoot–off after the main match. New shooters, spectators and vendors are welcome. Please make sure you have eye and ear protection. The January Cowboy match has been cancelled. The next match will be the 4th Sunday in February, the 24th. The Cowboy Matches are held the 4th Sunday of each month. Start time will change as the weather changes but as of now the registration is at 8:00 AM with shooting starting at 8:30ish. ATTENTION: There will be no shoots in July and August. We will be back to the 4th Sunday in September and the rest of the year.